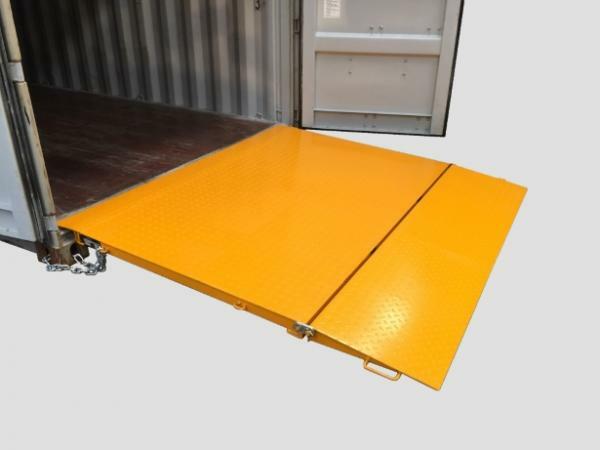 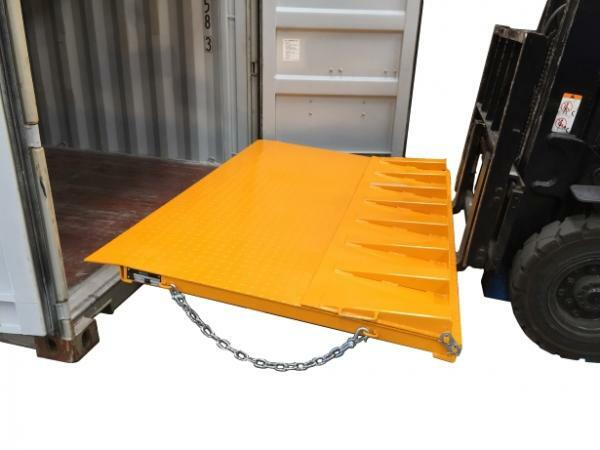 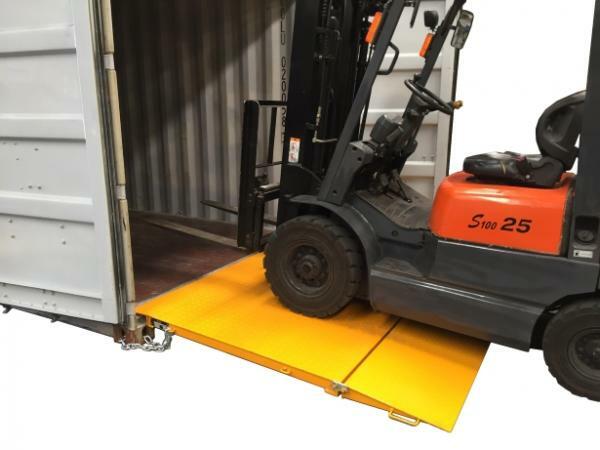 The DHE-FR6.5 Container Ramp 6.5 Tonne Standard Duty Self Leveling is designed for bridging into standard containers from ground level loading and unloading of 20 foot and 40 foot shipping containers. 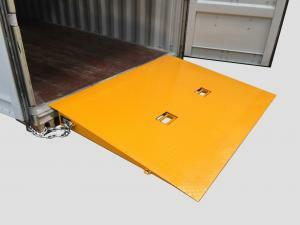 – The ramp footing folds up to allow access to the fork pockets for transport. 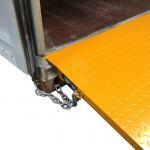 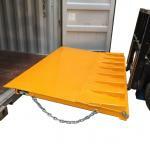 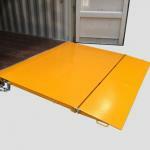 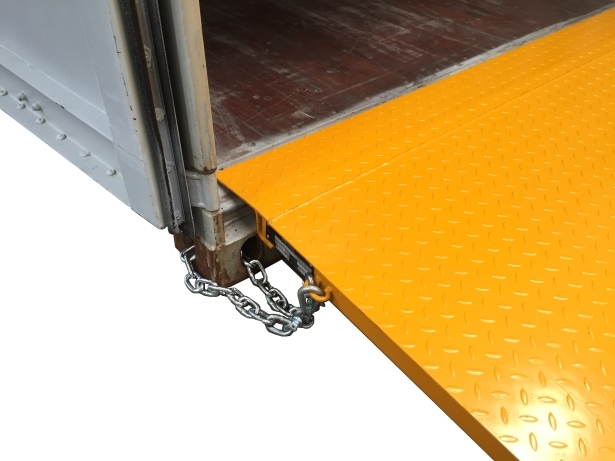 – Securing safety chains located on both sides of the ramp prevent unintentional disengagement of the ramp from the container. 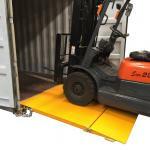 – Standard painted Safety Yellow finish.